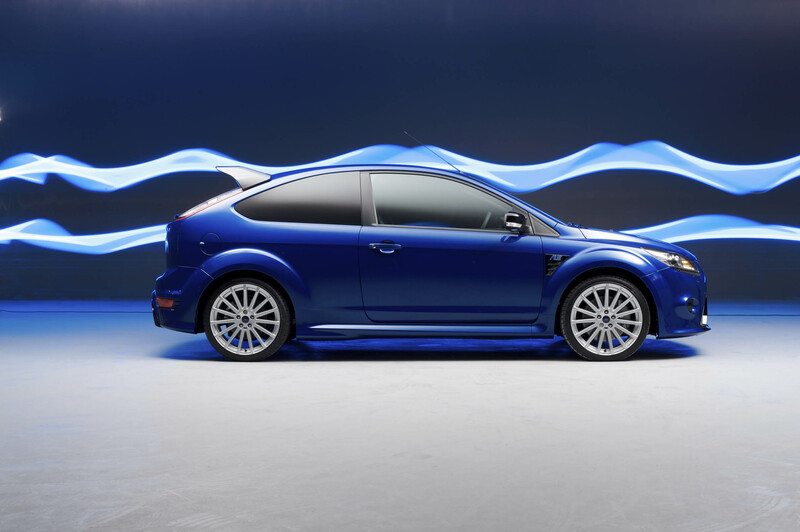 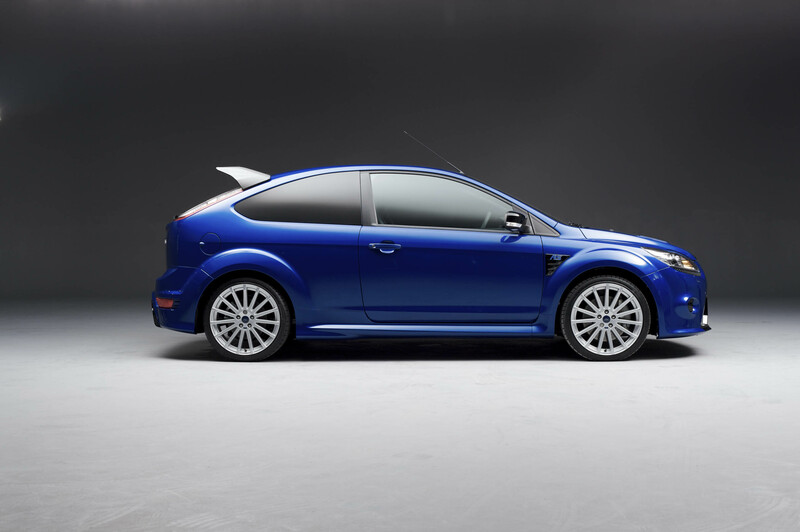 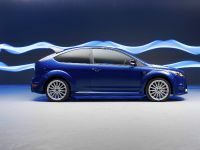 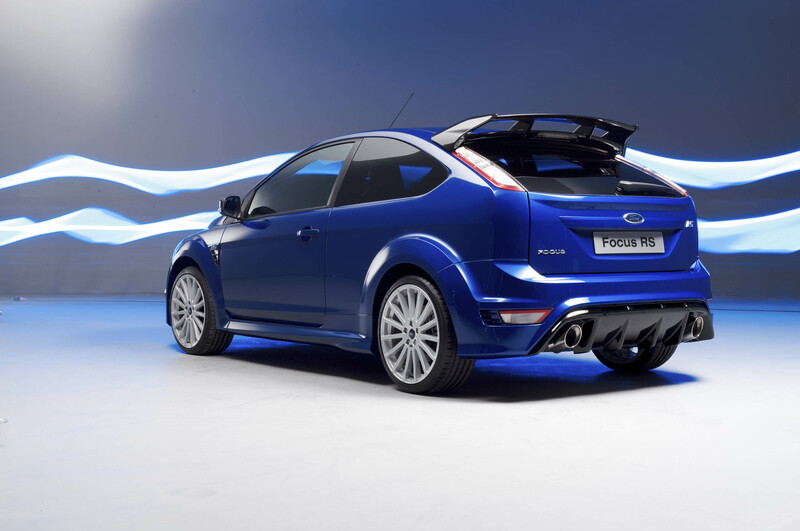 Ford's fastest-ever European production car, the 2009 Focus RS, will be priced from £24,995 when it goes on sale in the UK in March. 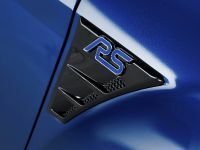 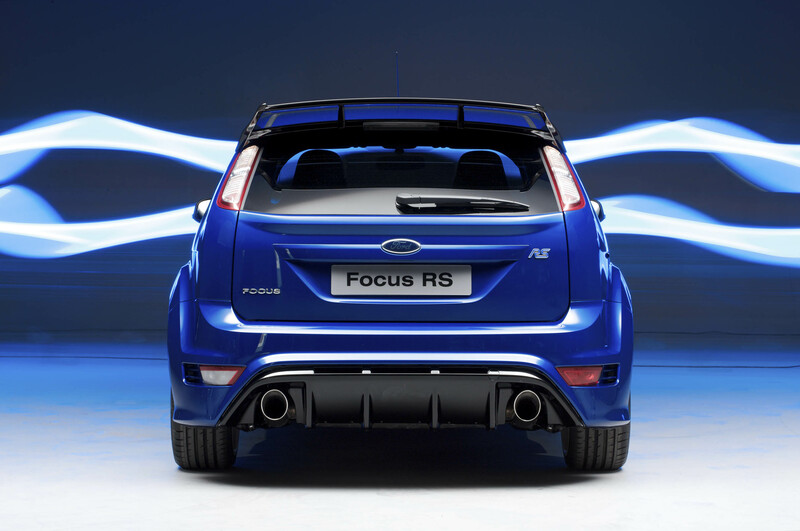 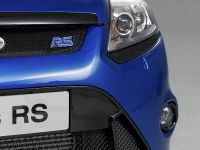 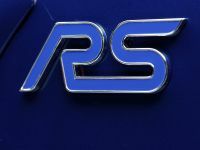 The new Focus RS is the first Ford to wear the famous Rallye Sport badge since the first-generation Focus RS was launched seven years ago, and the 22nd since 1970. 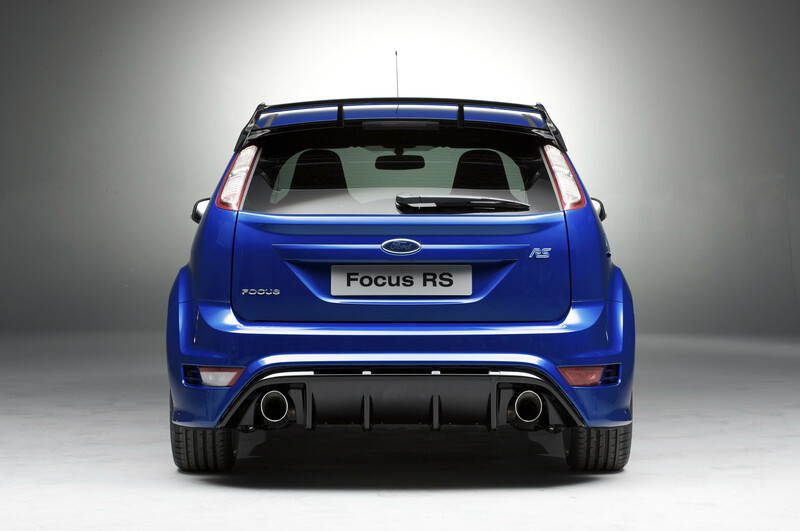 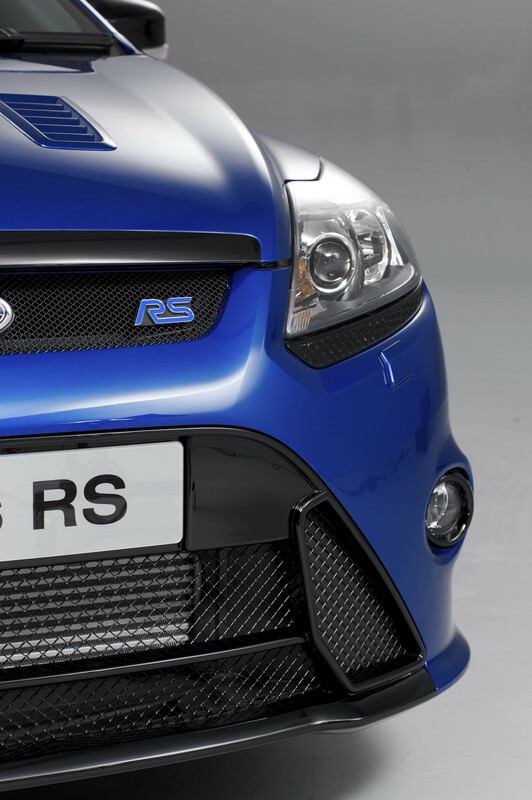 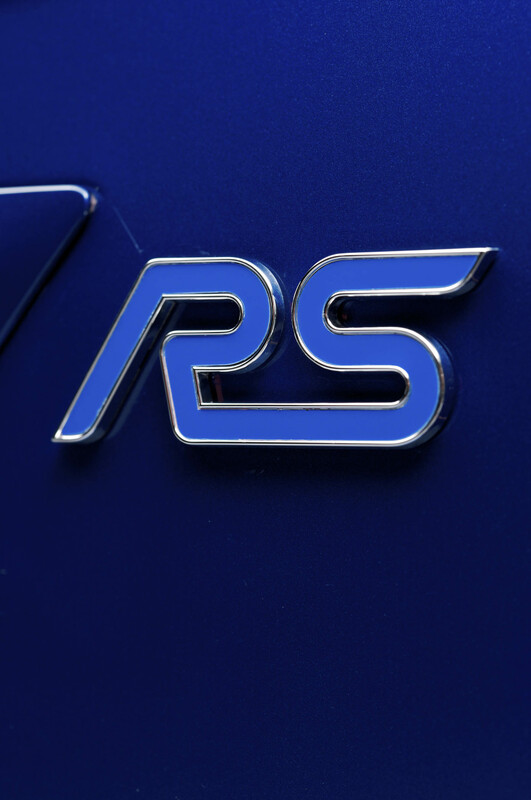 RS denotes a distinctive blend of high performance, road-holding, refinement, safety and value for money, and reflects a proud tradition of successful motor sports involvement that continues to the present day. 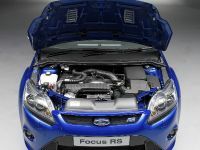 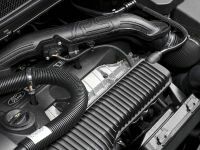 Under the bonnet of the Ford Focus RS is a turbocharged 2.5-litre, five-cylinder Duratec petrol engine, with a confirmed 305PS and 440Nm peak torque. 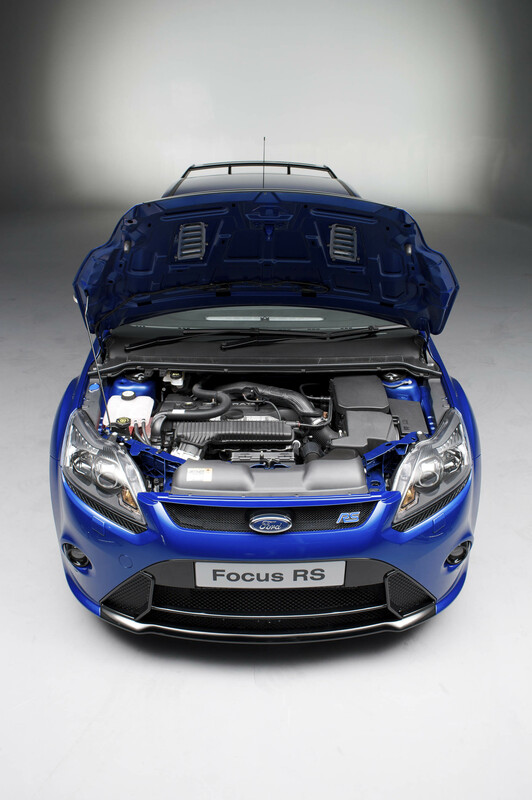 Features include unique camshafts and a revised cylinder head and gasket, intake and manifold system. 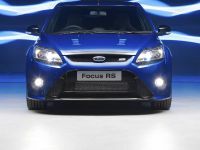 Front-wheel-driven through a six-speed transmission, the Focus RS accelerates from 0-62mph in under six seconds and has a targeted top speed of over 160mph. 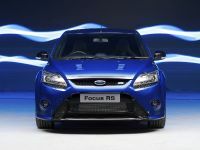 A class-leading balance of traction, sports handling and performance is achieved through the combination of a Quaife Automatic Torque Biasing limited-slip differential and innovative RevoKnuckle front-suspension system. 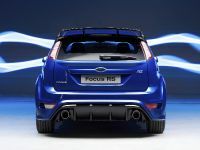 These features are complemented by a wider track, enhanced drive-shafts and rear anti-roll bar, revised springs and dampers and retuned steering, while a specially developed version of Ford's Electronic Stability Programme (ESP) with Traction Assist (TA) provides added assurance. 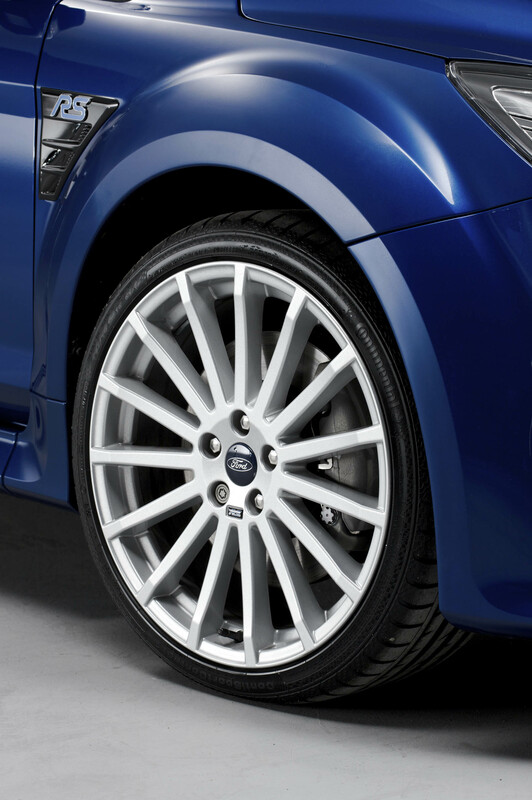 Uprated disc brakes – 336mm ventilated front and 300mm rear – combine with an anti-lock braking system (ABS), electronic brake-force distribution (EBD) and Emergency Brake Assist (EBA) to supply a reassuringly high degree of stopping power. 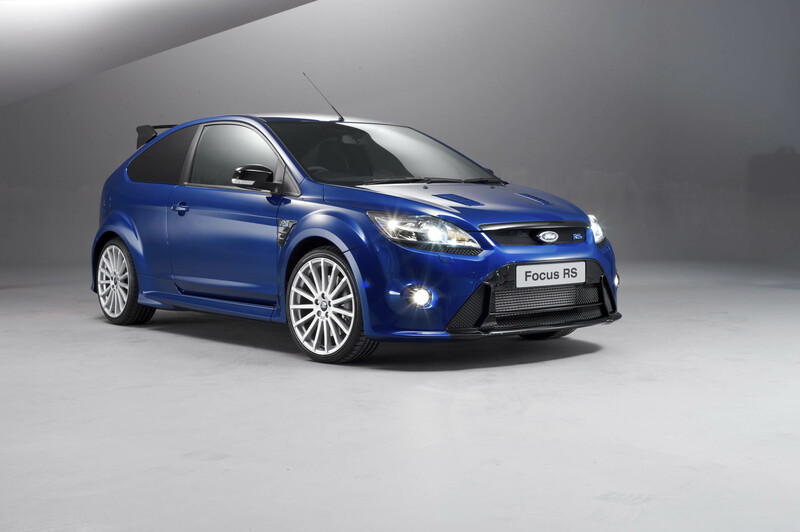 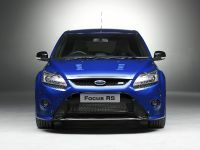 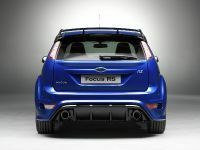 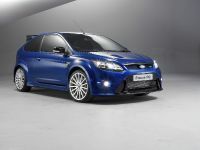 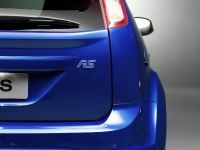 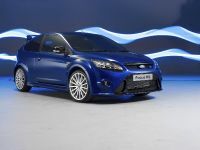 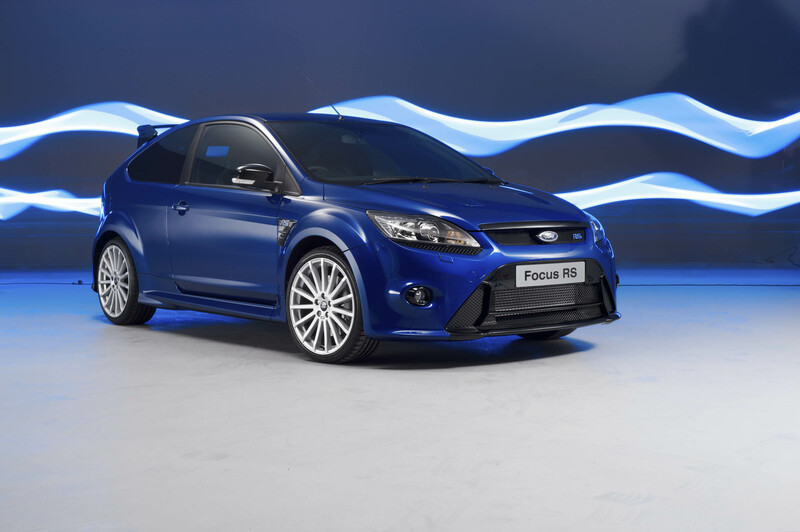 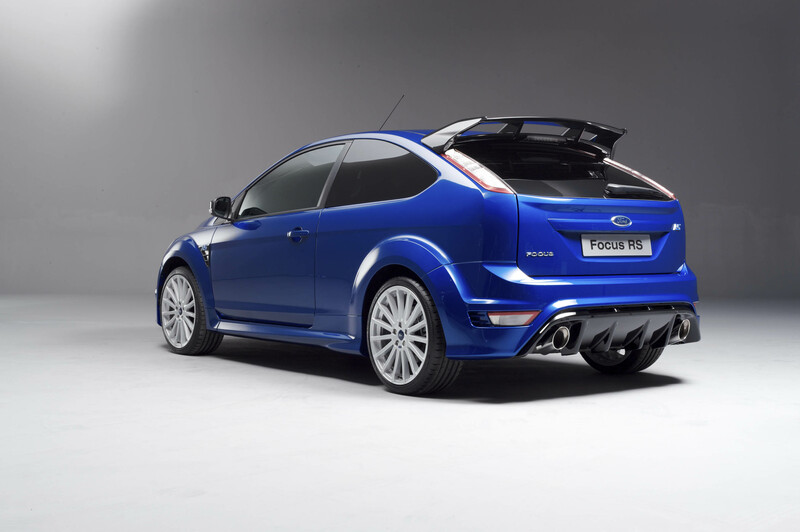 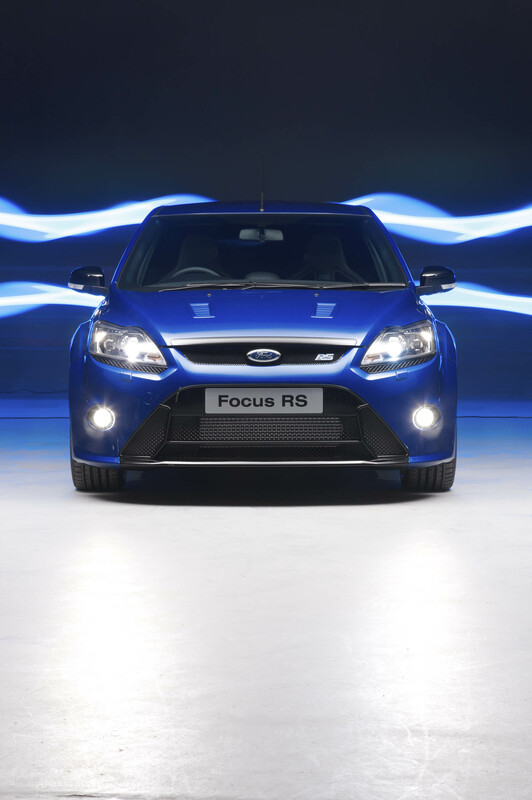 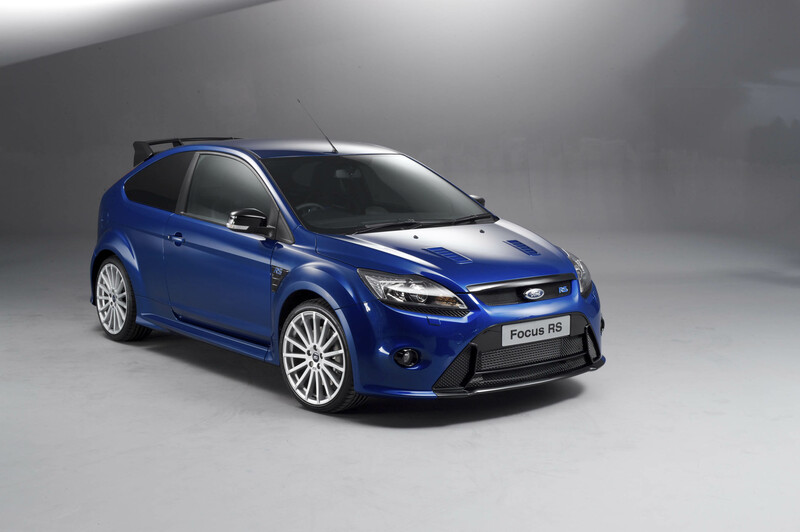 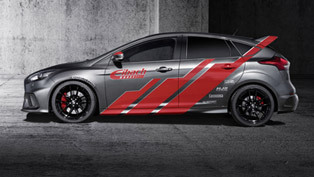 Taking its place as the top-of-the-range Focus, the RS will be immediately distinguishable on the road, with its unique bonnet, front bumper and side skirts. 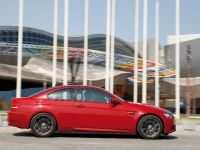 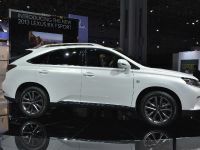 Also unique to the model are its 19-inch alloy wheels, shod with 235/35 tyres. 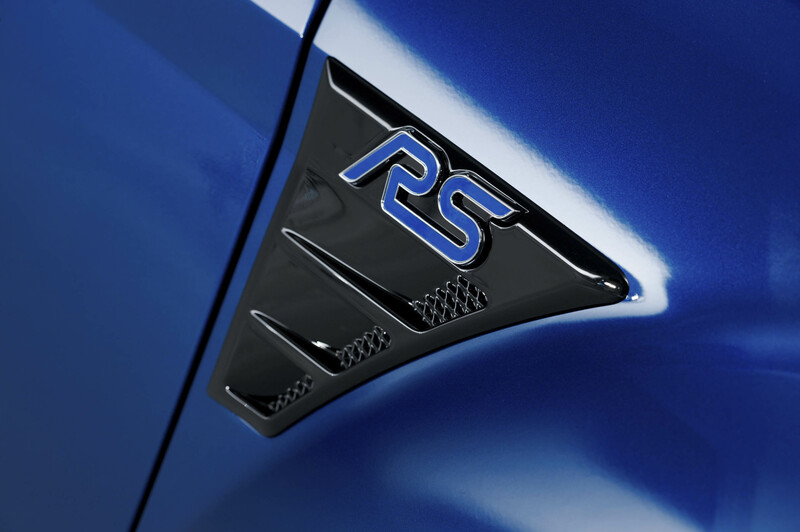 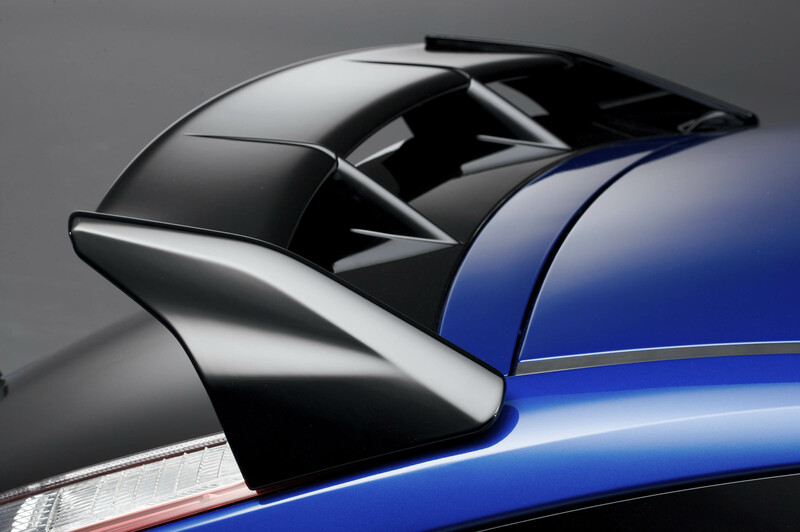 The rear twin-bladed spoiler - the continuation of an RS tradition – and the power/heated door mirrors are also distinctive, with their high-gloss black finish. 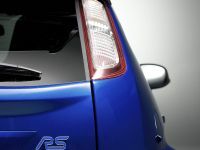 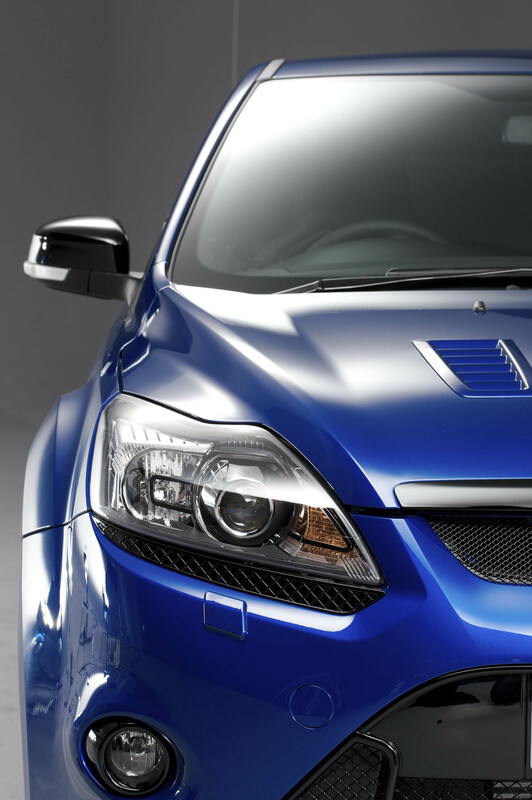 Xenon headlights with automatic levelling and jet-wash are provided, with LED lights at the rear. 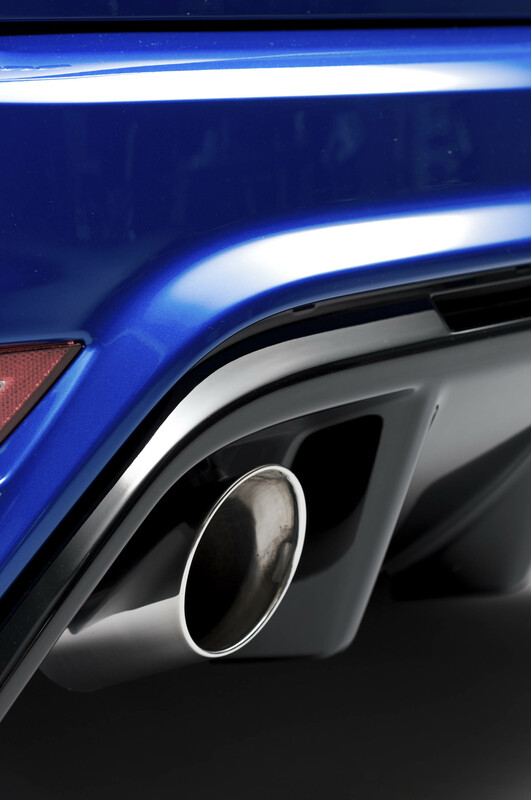 Dual chrome tailpipes add a further sporting dash. 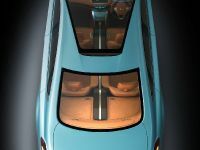 A Quickclear heated windscreen is fitted, and privacy glass for the rear. 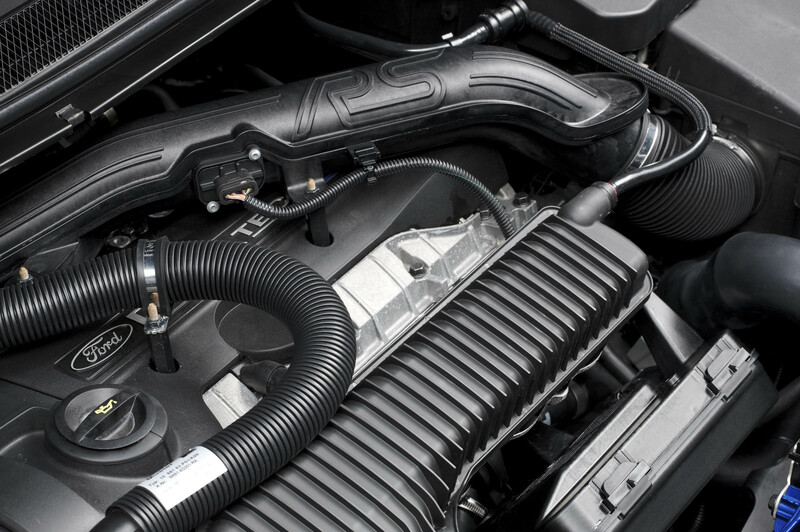 A Ford Easy Fill fuelling system removes any risk of costly mis-fuelling errors at the pump. 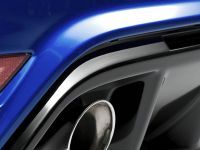 The driver and front passenger benefit from unique Recaro sports seats, with side bolsters trimmed to match the colour of the car – green for Ultimate Green models, blue for those finished in Performance Blue or Frozen White. 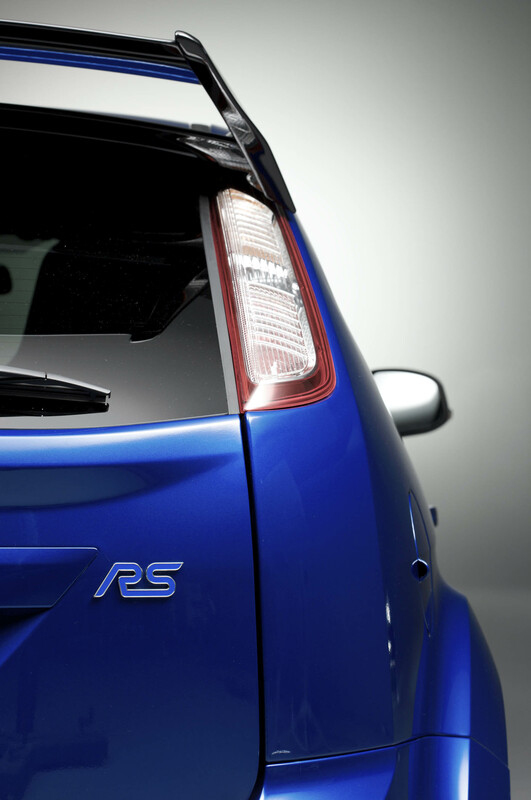 Rear passengers are comfortably accommodated in a sculpted Recaro-style seat. 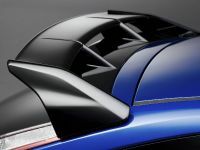 A manual air-conditioning system is provided, and in-car entertainment in the form of a Sony radio and six-disc CD player with DAB. 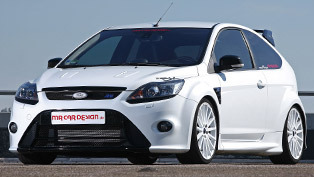 A Ford Power button allows for keyless engine ignition, and a Thatcham Category 1 alarm is standard. 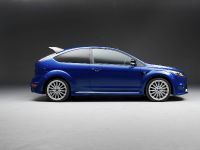 A £750 Luxury Pack includes the options of Dual-Zone Electronic Automatic Temperature Control (DEATC) air-conditioning; automatic headlights; rain-sensor wipers; auto-dim rear-view mirror; rear parking-distance sensors; tyre deflation-detection; and a Ford Key-Free system. 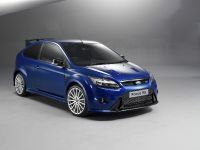 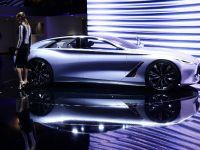 The £1,500 version of the Luxury Pack adds in a Touchscreen DVD Navigation System, with seven-inch touch-screen. 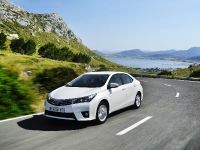 Other optional extras include partially leather-trimmed seats at £500 and, for £200, Bluetooth® hands-free phone connectivity and USB port. 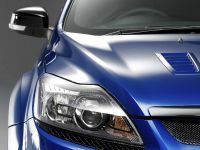 Specifying a metallic version of the Performance Blue paintwork costs £395, while a Tri-Coat Metallic Ultimate Green finish carries a £695 price tag. 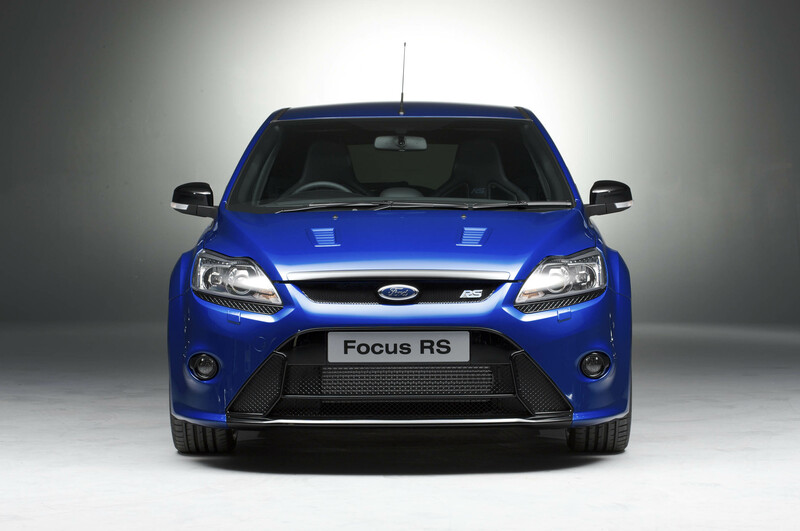 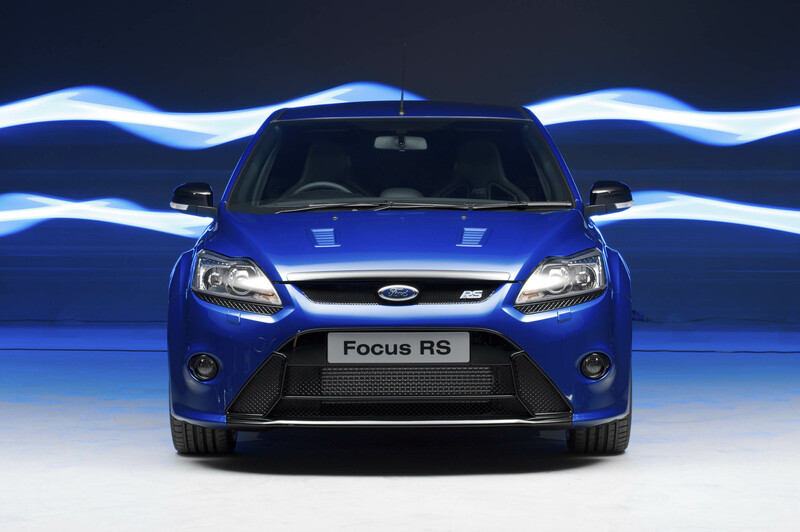 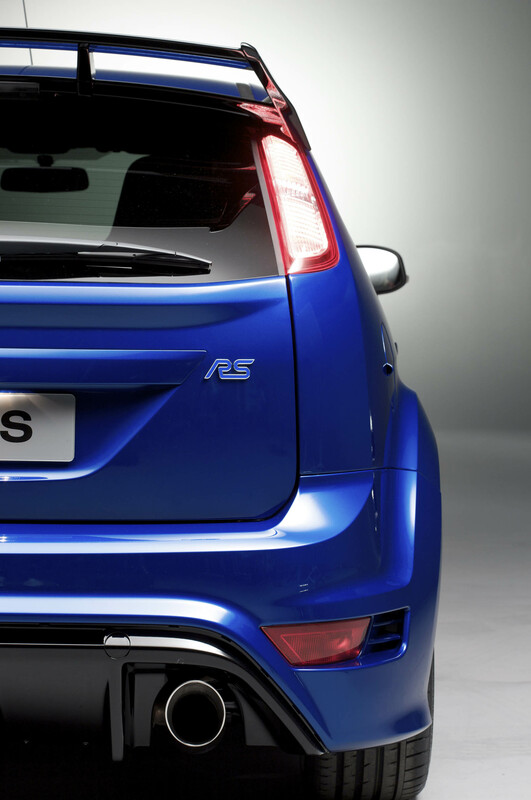 The standard price of the flagship Focus RS compares with £20,408 for the ST3, the existing top-of-the-range Focus.